Welcome to our blog series where we chat to teachers about their experiences of accessing and using research. 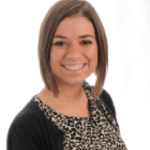 We are delighted to introduce Charlotte Hindley who is an assistant head and teacher from Platt Bridge Community School, and delivers professional development programmes both in the UK and internationally. Charlotte also works as part of her local Teaching School Alliance, Westbridge, in a role co-leading Research and Development. Here, she talks about her experiences of using research in the primary setting.